Tron 3 will unofficially be called Tron: Ascension as production appears to be set for later this year. This was released by director Joseph Kosinski who directed Tron Legacy via twitter, check out the post below. Tron: Ascension will star Garrett Hedlund who will reprise his role as Sam Flynn from 2010’s Legacy where Flynn went into the digital world to track down his father Kevin Flynn (played by Jeff Bridges) who disappeared into his video game creation. 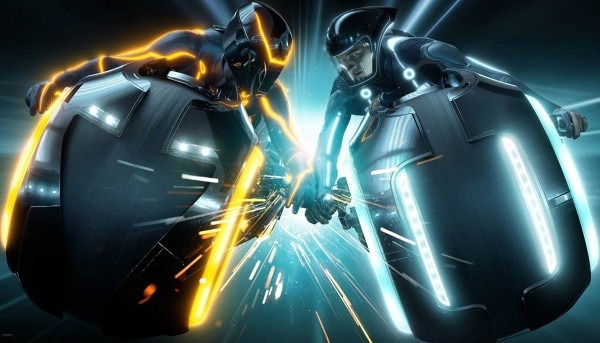 “Tron 3″ will begin filming in Vancouver on October 5, 2015. No word yet if Jeff Bridges will return for the third installment of the classic Disney franchise, but Olivia Wilde’s return as Quorra seems likely. Legacy ended by alluding to the importance of Cillian Murphy, the son of the original Tron villain Ed Dillinger, who has already established his evil schemes. Bruce Boxleitner will almost certainly return after playing Alan Bradley/Tron in the previous films. At this point, with more casting details surely to emerge, the new Tron film could likely arrive in the spring of 2017.